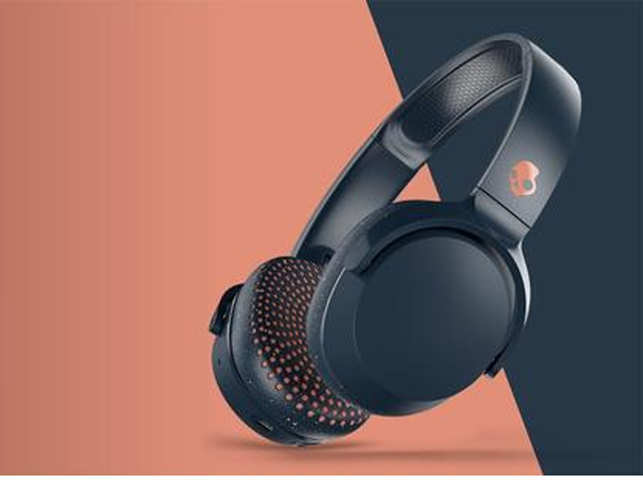 This is amongst the cheapest wireless offerings from Skullcandy. There is no wired option if the battery runs out. The Riff Wireless is amongst the cheapest wireless offerings from Skullcandy. Apart from the standard white and black, you can get it in dark blue or light grey. Right off the bat, the Riff Wireless does not feel like a Rs 6k headphone. The plastic body feels cheap and the lack of padding on the headband seems like unnecessary cost cutting. The saving grace is that they score high on portability — you can fold them flat as well as inwards. The earcups have an on-ear design and they are comfortable to wear. However, the earcups have a perforated faux leather cover — the kind we think will start to show it’s age within a few months. What the Riff Wireless lacks in design, it makes up for in sound quality. It delivers punchy bass, making it great for music lovers. In fact, for most kinds of audio we tried, the bass was punchy without feeling over-powering. Higher frequencies and vocals are also clear which makes the headphone good for almost all uses. The big issue is the overall volume level. 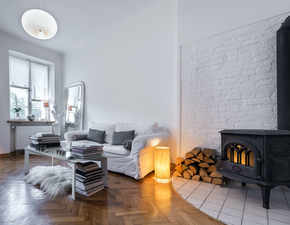 It is loud enough for use at home but in a noisy environment such as a moving train or a crowded street, the max output was not loud enough to drown out the ambient sounds. In terms of battery life, we got over 10 hours of battery life from a single charge which is good enough. There is fast charge support and a 10 minute charge gives you an hour and a half of use. There is no wired option if the battery runs out. Overall, we like the sound quality but feel it just doesn’t justify the asking price.